I try to invest my time, my money and my resources on things that will pay me a return in the future. We reap what we sow, right? I save money and invest it to be ready for retirement. I invest time in my kids and my grandkids. I invest in exercise to be physically healthy. I invest time with other people. I invest time in my relationship with God. Why? Because I want to reap what I have sown. I want to be financially, spiritually, emotionally and physically healthy. I value the benefit that having good relationships creates. How can we invest in our marriage in order to have a fantastic relationship? 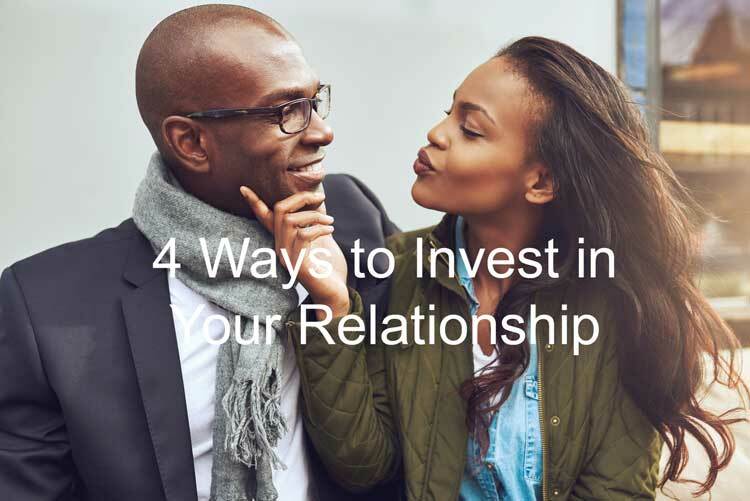 Here are 4 ways to invest in your relationship. God wants us to love one another and we agree to do that in our wedding vows. How do we know we are doing a good job? It’s tempting to let our marriage relationship slide. It’s easy to get so caught up in our jobs, our kids, our activities and commitments. We take our connection with our spouse for granted. Instead, invest in your connection with regular checkups. Ask your partner how the relationship is doing. Is there something that you could do that would help your spouse to feel treasured and valued? Do they feel connected to you? What could you work on together to strengthen your connection? Remember, it’s all about building up your connection. For a long time in my marriage, my wife wouldn’t tell me what was bothering her. She didn’t want to hurt me and she thought her feelings would eventually go away. Sometimes that even worked. More often, she held things in and resentment built up. We both had to learn that is something is bothering us, we had to bring it up in good way. Being assertive about your needs is healthy behavior. Hiding your hurts and dismissing your own frustration can be poisonous to you and your relationship. Criticizing or making demands usually only results in defensiveness. Subtle hints can be dismissed or misinterpreted and lead to unmet expectations. Instead, ask your spouse how you can make your needs known in a way that they can hear it. I like the image of a dam breaking. It starts out small, then the water picks up force. Soon, you have a mess. Our conflicts are like that. It can start out small and then escalate. I sat down with a couple that had rebuilt their relationship. I asked them what was one of the tactics that is really working. They said that when they recognized that they were escalating an argument, they immediately stopped what they were doing and worked on better behaviors. It’s easier to be proactive and build a relationship. Healthy relationships are made up of a series of small, positive interactions. Is it a small touch? Perhaps a kind word. Bringing your partner a cup of coffee. A text to check in. Maybe it’s just sitting down and talking for 10 minutes. 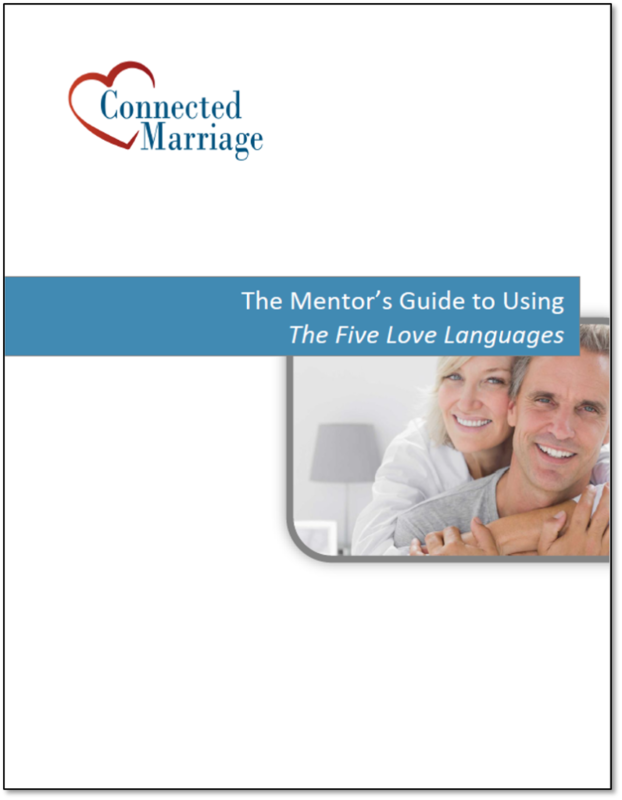 Ask your spouse what would communicate love to them! If You Need Something, Say Something – Be sure to be assertive and bring up your needs. Repair, Repair, Repair – Stop destructive conflict patterns as soon as they start. Pay Attention to the Little Things – Build daily small gestures into your habits. 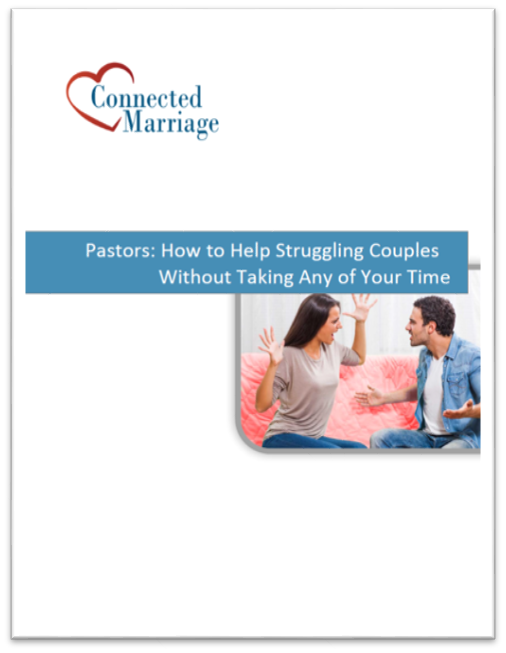 Thank you this really helped me out a lot as I continue to build my marriage ministry and my own marriage.